I sure hope these prototypes are purposely misleading and that these pictures are not reflective of the actual direction the 911 is going to take in the 992 iteration. It just looks like they're taking all the 911 out of it and making it look like just another car. I felt like the .2 started this trend relative to the .1, but this takes it to another level. It just looks boring. Makes the .2 look much better by comparison. On a specific note, the wider front wheel arches look really stupid and the flat sections around each wheel arch look taller as well, which would not be good. It looks blah to me, too. My lease is up when this one will be launched and hoping they add more nine-eleveness by then. I would like to see them narrow the C-pillars with respect to the rear fenders. Look at a 993 wide-body, which isn't exactly wide, but it has great proportions. The rear and rear-quarter view of those models was just about perfect. I think the Mission E looks way better than this turd. These spy shots look like what you'd get if you gave an Audi designer the new Panamera and told him to turn it into a sports car. I have faith the 992 will look great. Porsche only ****ed up on the 996. Overall they have a really good batting average. The 991 was such a beautiful design to me - the proportions are just gorgeous! They're due for a fu*k up. It's been a while. That's fine too. I would have no problem driving different variations of the 991 over the next decade. Must admit, what I'm seeing has me nervous. Especially with recent styling in other models. Really? You thought this was a good looking car? 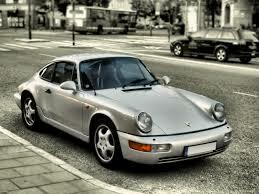 Porsche has screwed the pooch multiple times over the years since the perfection that was the early 911. Absolutely. The 991 was the first 911 in a long, long time that got me even interested in owning a Porsche again. Liked the 993, hated the 996 and 997, and love the 991. IMO, the 991 is the first 911 to truly look like a modern interpretation of the original cars. Porsche like to troll and keep the 'buzz' coming they are also good at disguise. The original 991 spy shots were also underwhelming. It's a game and they are good at it despite the limited options. The 3.0L twin turbo fart can not enough for ya?